Microsoft’s in-house Kinect Fun Labs have been working on their own hacks--and now, thanks to their work, you can make your own virtual talk show with Avatar Kinect. Your personalized or scanned avatar can get into groups of seven to have meet-and-greets in 24 virtual stages ranging from a late-night talk show set, to outer space, to a sports tailgate party. 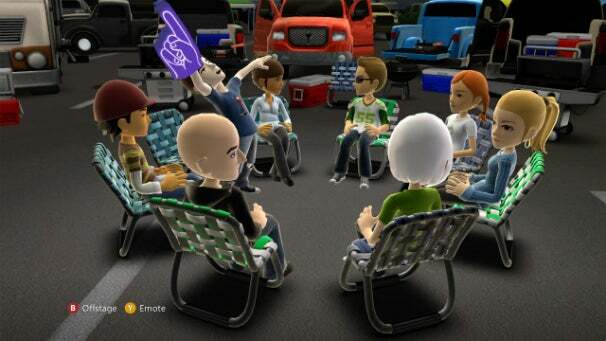 To make talking avatars more sociable, the Fun Labs tweaked the Kinect to track facial expressions. So every eyebrow raise, smile, and belly laugh is translated to your avatar. Avatar Kinect is free for Xbox LIVE Gold subscribers who have Kinect; non-Gold users can try it out until September 8 (at which point they'll have to upgrade to Xbox LIVE Gold to continue using Avatar Kinect). Kinect Sparkler, a piece of software that let's Kinect users do light painting on 3D images will come later this week.